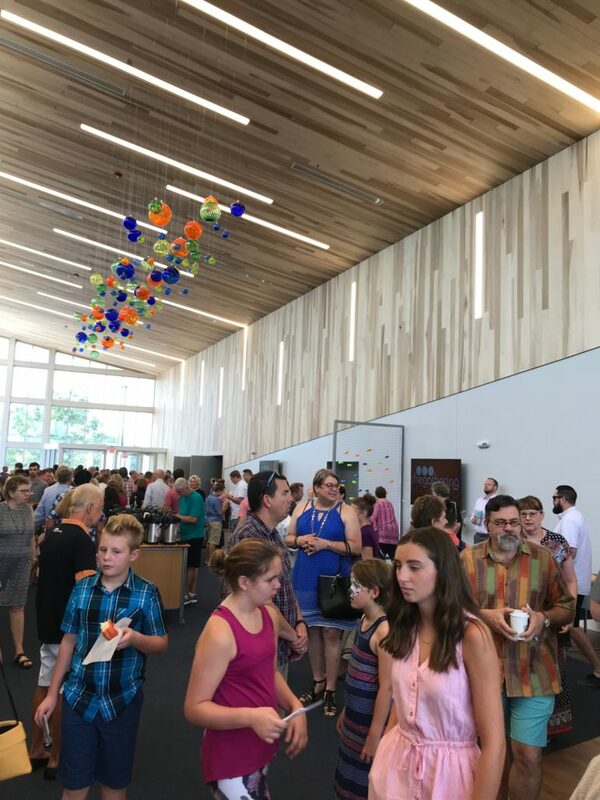 The new Gathering United Methodist church, at 2360 McCausland Avenue, opened on Sunday with two full services. 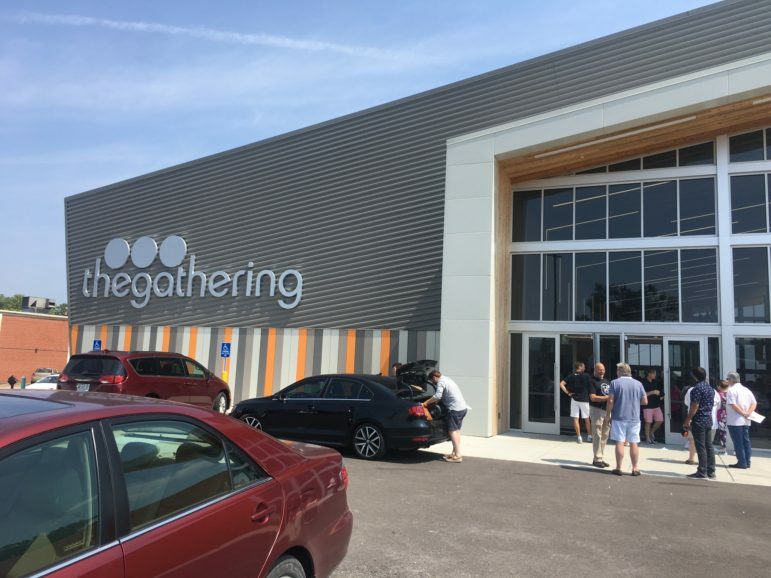 The church moved its sanctuary from the previous location at 2105 McCausland Avenue to the new one south of Manchester Avenue. The new sanctuary is 6,900 square feet and seats about 550. 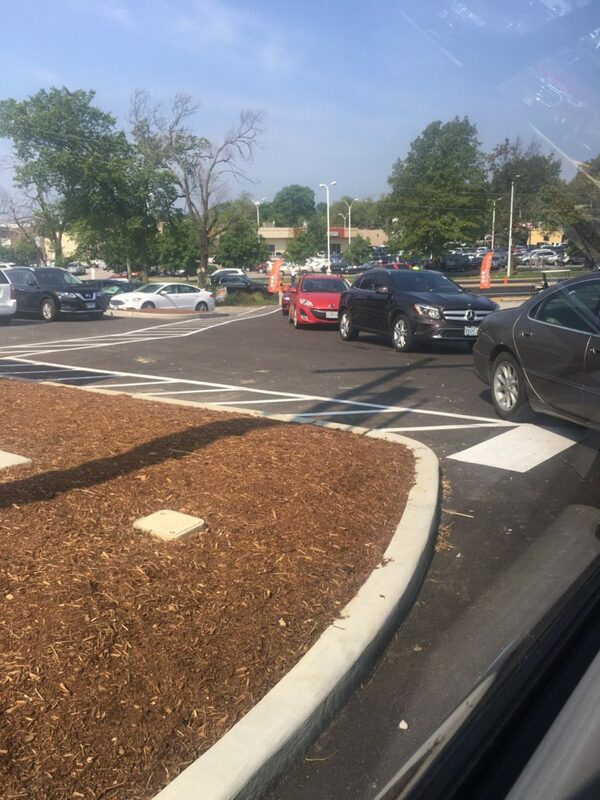 St. Louis Mayor Lyda Krewson and Fire Chief Dennis Jenkerson came to help with the opening. Just FYI- that is Police Chief John Hayden, not the Fire Chief. This is in the city of St Louis. I know from being around the politicians that they get invited to just about any and every new opening. Be it a new BBQ joint, a grocery store, a church. That is a huge part of what they do. They or someone on their staff will pick and choose where they go. For all we know she has no interest in the church or it’s philosophy but still wants to say welcome to the community. Or it could have been that it was the only invitation she had for the day so she showed up. If you know the area it was a car dealership and then something else and I seem to remember some sort of factory that was there but not in business. So they may have taken a corner eyesore and made it better. I do know the area, it wasn’t beautiful before, but I disagree that the strange architecture the Gathering chose makes it more attractive. The orange and grey, cheap warehouse style is already dated and will only grow more ridiculous looking as time passes. But that is only my opinion. I assume someone likes it or they wouldn’t have picked it. I’m sitting at my computer with my mouth hanging open, in wonder. No, not a pretty picture, but neither are the hateful, negative comments I’m reading in reference to the growth and opening of a church. I assure you, the presence of a church in an area will more than offset the taxes some of you are worried about. A vital, living church body will help lift up and transform an area by being an example of Life well-lived. Surely this is an improvement over what formerly occupied that space, and possibly not much different in the amount of taxes produced. I hope you can see the other side of this coin. Only Haters to Say Something about a place for people to come together and feel good about being Better Humans. Mike, are you thinking of Maplewood? This church is in the edge of St Louis city, where Ms Krewson is mayor. Did you read the article, Mike? It mentions Lyda Krewson as St. Louis’ Mayor. I do understand that Barry Greenberg is the mayor of Maplewood and he is a man. But he wasn’t (according to this article) at the church event. Not everyone who has a different viewpoint than you is a “hater.” And anyone who uses “sad” the same way our ignorant and vitriolic commander-in-chief uses it needs to analyze their life and see if they are truly interested in “being better humans.” I sense some hypocrisy here. Man, whats with the negative vibes about a church? They’ll return more to the community through service than any amount of taxes they could have been assessed. Lighten Up peeps…Maybe they’ll have a community chicken fry and everybody will calm down. 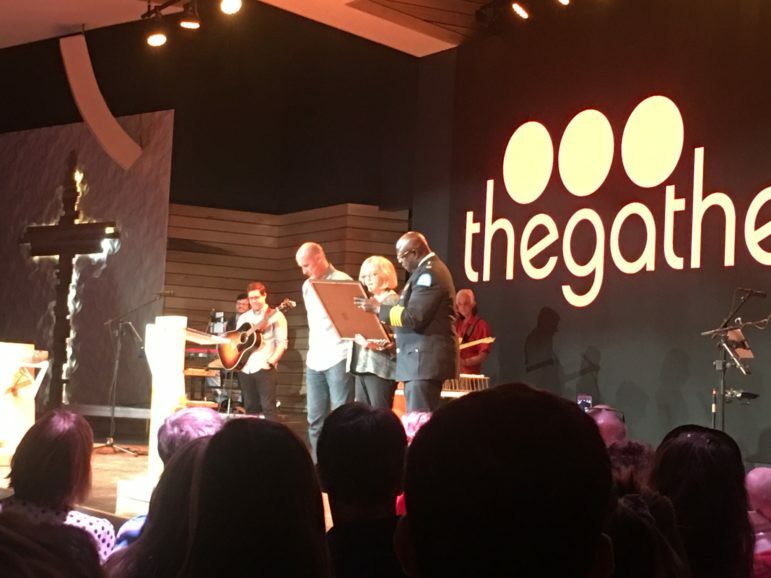 Why is the mayor involved with the opening of a new church? Does she go to the opening of every new church, synagogue, and mosque? How is this part of her elected position? Can’t wait to see all the taxes they contribute. I’m sure those taxes they dont pay will help the infrastructure in the surrounding area since this will inevitably cause traffic nightmares. It probably won’t be too bad traffic-wise assuming they have their services on Sunday mornings, not like if it were 5pm Friday. But, yeah I see what you mean. It probably wouldn’t cause too much trouble as far as traffic assuming they have their services on Sunday mornings. Churches often invite local officials to attend opening services and help them celebrate a joyful event. I have nothing against religion, but I picture a cult every time I hear this name. You should have something against religion though, it’s so harmful. Be well!